“I can’t see the board” is a common reason children come for their first eye exam. But problems seeing up close are more closely related to academic success than distance vision problems. With more computer use, and frequent changes from looking at the board to a notebook, school can be a workout for the near vision focusing system. Watering eyes, rubbing eyes, and headaches are early signs of problems with near vision. These soon lead to difficulty reading and falling grades. The child may also show avoidance behaviors when trying to do school work as it is physically painful to see up close. But worst of all, the child may not say anything at all, as they do not know that their vision is not working right. Typical school vision screenings may miss the problem also. So what are the mechanisms involved in near vision focusing?? There are 3 processes involved in near vision focusing. Optometrists call it the near vision triad. 1) Pupil constriction- as an object moves closer, the pupils constrict to improve focusing of incoming light on the fovea. The fovea is an area on the retina with the highest density of light receptors. This area gives us our most acute vision. 2) Convergence– as an object moves closer, the eyes move toward the nose to keep the object on the fovea. Both eyes should smoothly convergence together as the target moves closer. Heres a video that puts it all together. As something moves toward us, the brain adjusts with the right amount of accommodation and convergence, in addition to the pupil constriction. What does it look like when it does not work right?? This is easy to screen using the Near Point Convergence test . 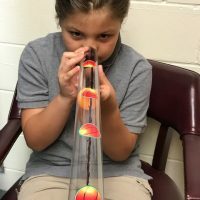 Only the optometrist can identify these problems, but as therapists, teachers and parents, we need to be aware of the signs of near focusing problems. The Convergence Insufficiency Symptom Survey is a well researched tool that is very effective in identifying patients with possible CI. 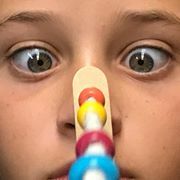 This entry was posted in vision rehabilitation and tagged accommodation, ADD, convergence insufficiency, glasses, learning disabilities, near vision, neurological rehabilitation, occupational therapy, optometry, pediatric optometry, read problems, saccades, vergence, vision. Bookmark the permalink.